Susan Wiggs's life is all about family, friends…and fiction. She lives at the water's edge on an island in Puget Sound, and in good weather, she commutes to her writers' group in a 21-foot motorboat. She’s been featured in the national media, including NPR, PRI, and USA Today, has given programs for the US Embassies in Buenos Aires and Montevideo, and is a popular speaker locally, nationally, internationally, and on the high seas. From the very start, her writings have illuminated the everyday dramas of ordinary people facing extraordinary circumstances. Her books celebrate the power of love, the timeless bonds of family and the fascinating nuances of human nature. 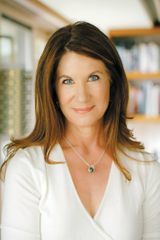 Today, she is an international best-selling, award-winning author, with millions of copies of her books in print in numerous countries and languages. According to Publishers Weekly, Wiggs writes with "refreshingly honest emotion," and the Salem Statesman Journal adds that she is "one of our best observers of stories of the heart [who] knows how to capture emotion on virtually every page of every book." Booklist characterizes her books as "real and true and unforgettable." Her novels have appeared in the #1 spot on the New York Times Bestseller List, and have captured readers’ hearts around the globe with translations into more than 20 languages and 30 countries. She is a three-time winner of the RITA Award,. Her recent novel, The Apple Orchard, is currently being made into a film, and The Lakeshore Chronicles has been optioned for adaptation into a series. The author is a former teacher, a Harvard graduate, an avid hiker, an amateur photographer, a good skier and terrible golfer, yet her favorite form of exercise is curling up with a good book. She lives on an island in Puget Sound, where she divides her time between sleeping and waking.